About Us | Allen & Graham, Inc.
Allen & Graham, Inc. is a general contracting company founded in 1986 in Brunswick, Georgia. 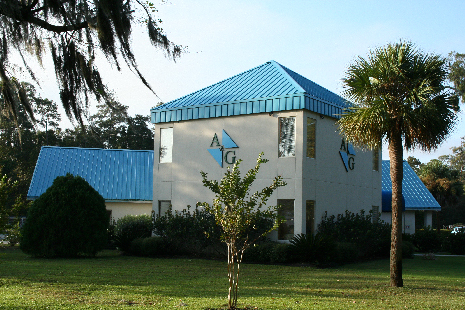 We enjoy long-term relationships in industrial and commercial markets in Georgia, Florida, South Carolina and North Carolina. We are most successful with clients who require high quality, strict safety requirements, and demanding construction schedules. Most of our volume (70% historically) is self-performed, which allows us to have more control over the schedule and quality of work, resulting in a successful project. Electrical, HVAC and some specialty trades are subcontracted. We have a strong following of subcontractors because we manage the sequence of work and schedule so that everyone involved is efficient. We have qualified, well-trained workers for all trades. Several of A&G projects have been awarded the Associated General Contractor's "Build Georgia Award". Allen & Graham’s project management staff consists of engineers and graduate construction managers, most of whom have worked a long time with Allen & Graham. We use the latest technology to manage our work. Supervisors are well experienced in multiple trades and understand the importance of safe work practices, proper field administration and client’s difficult schedules and requirements.